privately financed and owned museum... The Jianchuan Museum. Thank you for your interest in the settlement of Jianchuan Museum! 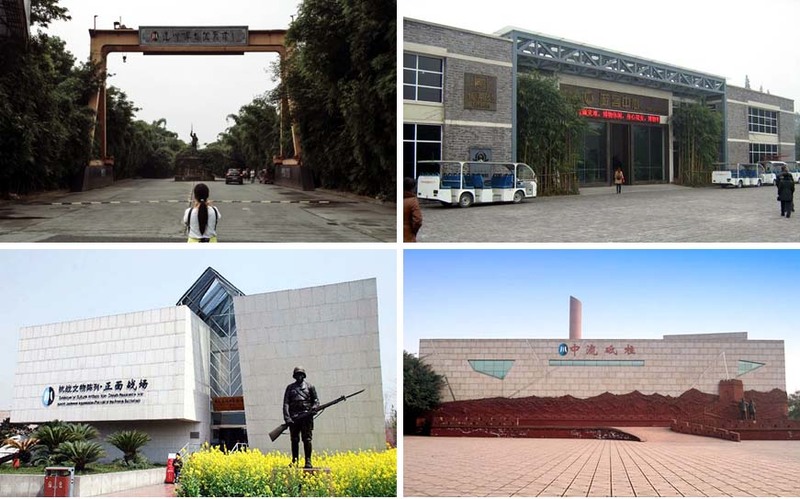 The Jianchuan Museum Settlement was founded by private entrepreneur Fan Jianchuan. It is located in Anren Town, Dayi County, a Chinese museum town. It covers an area of 500 acres and has a building area of more than 100,000 square meters(1,076,391 sq ft). It has more than 10 million pieces of collections, including national first-class cultural relics. 425 pieces. The museum has built more than 30 branches in the four series of anti-Japanese war, folklore, red age and earthquake relief for the theme of “for peace, collecting war; for the future, collecting lessons; for tranquility, collecting disasters; for inheritance and collecting folk customs”. 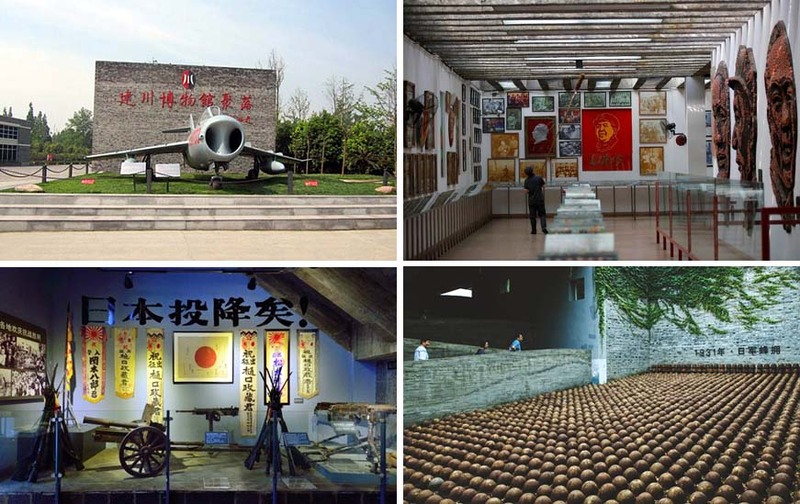 The branches of gallery that have been currently opened include Mainstay Hall for war relics exhibition, Frontal Battlefield Hall, Flying Tigers Hall, Unyielding POW Hall, Sichuan Army Hall, Veteran Fingerprints Square and Chinese Anti-Japanese Heroes Group Statues Square; Red Era Series, Porcelain Hall, Living Goods Hall, Badge, Bell and Seal Hall, Mirror Hall, Educated Youth Hall, Memorial Hall of Deng Xiaoping; Folk Custom Series: Shoes for Bounded Feet Hall, Old-time Residence Furniture Hall, Traditional Chinese Medical Science hall; Earthquake Series: Hall for Earthquake Shock Diary 5.12-6.12, Hall for Fine Arts about Wenchuan Earthquake, 5.12 Earthquake Relief Memorial Hall and Defense Weapons Hall, the “Third Front” Movement Aviation Hall. But fear not — Japan’s wartime depredations do get covered. But my guide complained, “There was not enough about Japanese atrocities.” Not enough?! Well it all depends on your taste for such things, but in my view the Jianchuan Museum Cluster doesn’t exactly deny the Japanese their due. 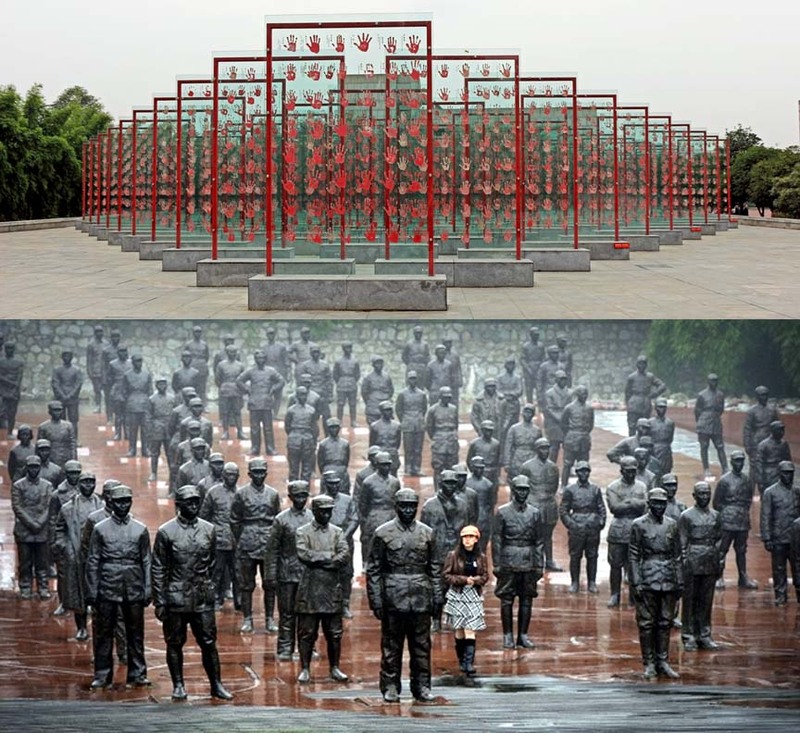 As the pamphlet explains, “The Anti-Japanese War Museum series is composed of the Hall of the Core of the Resistance, the Hall of the Conventional Battlefront, The Hall of the Sichuan Army in the War of Resistance, the Hall of the Heroes of the Flying Tigers, The Hall of Unyielding Chinese Prisoners of War, the Chinese Heroes Statue’s Plaza, and the Anti-Japanese Veterans’ Handprints Plaza.” To my mind, five buildings seemed sufficient to get the message across, especially when you throw in the two plazas. He started his real estate firm in 1994 after resigning as deputy mayor of Yibin, a city in southern Sichuan. Then, the mainland property market was still in its infancy. But it took off soon after. “My real estate business was at its peak around 2000,” Fan said. “We used to be among the top five real estate companies in Sichuan province.” At its peak, Jianchuan Group owned five property firms in cities across Sichuan, as well as building management companies, a construction firm and a gas station. “I had had the best 10 years of [China’s flourishing property market] and I didn’t have a great desire for the money anyway,” Fan said. Fan, who started collecting in 1994, is willing to fork out large amounts of money for items of historical significance, from soldiers’ bayonets to bloodstained clothes from war. He estimates he has spent more than 700 million yuan on his collection so far. To share his vast collection with the public, the tycoon plans to open more museums. He has also donated hundreds of relics to other museums. Now we know who, the obvious question is why? Ah, he wants immortality. I'll settle for immorality.